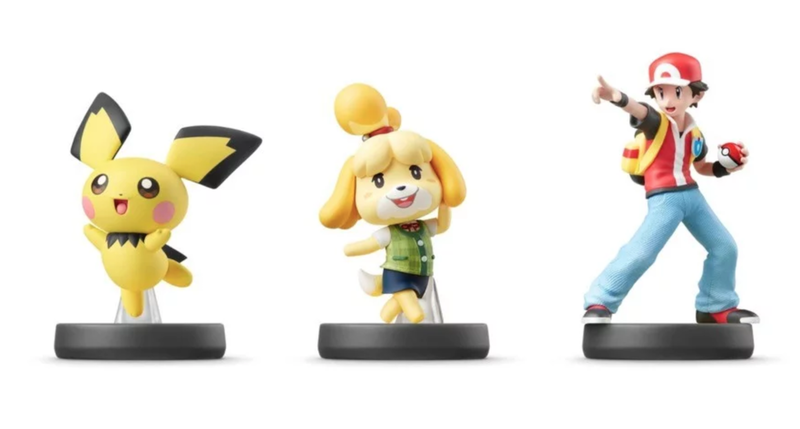 You can get Pichu, Isabelle, and a Pokemon Trainer amiibo when they come out this July, so make sure to add them to your collection. With all the news surrounding Joker coming to Super Smash Bros. Ultimate today, it's easy to forget that there are other cool things coming for Smash fans as well! Fans can pick up the Pichu, Isabelle, and Pokemon Trainer amiibo figures beginning this July, when all three figures hit stores. European fans will get them first, when they launch on July 19, but everyone else in North America will have to wait until July 26. These amiibo are the latest from the Super Smash Bros. Collection to be added to the enormous listing of figures, and if you're going to want a complete set of characters seen in-game, you're going to need to grab these as well. There's a wide variety of characters available, like Bayonetta, Cloud, Corrin, Inkling Boy and Girl, Link, Zelda, Mario, Captain Falcon, you name it – if you've got a main, they're probably represented as an amiibo figure or will be soon, at the very least. There's no word just yet on when or if there will end up being a Joker amiibo, but given the character's massive popularity and Persona 5 being such a big game in general, it's likely we'll see one coming down the line, especially since we're supposed to see an amibo figure of all the Smash characters at some point. Pre-orders aren't yet available to lock in, but if you want to pick up your own amigo figures, it may be your best bet, considering how fast these things go when they do release. They sell like hotcakes, as you're likely no doubt aware if you've tried to collect them before. In the meantime, what do you think of all the new changes coming to Smash? Are you going to pick up Joker?